Carol Callahan is a longtime Dupaco member, regularly stopping by a nearby credit union branch to access her money. 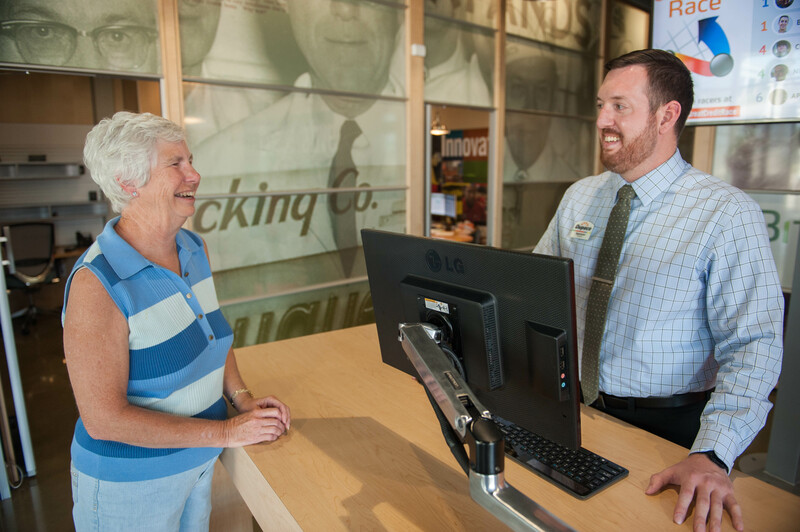 When Callahan and her husband began wintering in Arizona six years ago, the rural Bernard couple remained connected to their credit union with face-to-face service from afar—thanks to the CO-OP Shared Branch network. Shared branching has become the second largest network of financial institution branches in the country, offering fee-free access to members’ money at more than 5,000 participating credit union branches nationwide. The Callahans found a Shared Branch credit union less than a mile from their Arizona home. With shared branching, members can make deposits, cash and check withdrawals, loan payments, transfers and more as if they were at their own financial cooperative. Members need only identify their credit union, provide their account number and show photo identification. That’s the credit union difference.